OXYGEN – Fire needs air to keep it going. If it’s too windy it can go out – but you also don’t want to completely block off the air or it will die. You need to have a source of air for your fire to grow. Easy to store and use. “Strike anywhere” matches are some of the easiest to use. There is also “Strike on box” which use the side of the box to light up. Some cheaper matches are harder to get started and break easily. I personally prefer the “Strike Anywhere” matches. Waterproof matches are good to have when you are out in the weather and camping with moisture. You can buy waterproof matches, or even make your own. TIP: Store matches in several different locations. If you have them in the same container or bag and it gets lost or destroyed, then you are out. So store in a few different places. You can buy many different kinds of lighters. 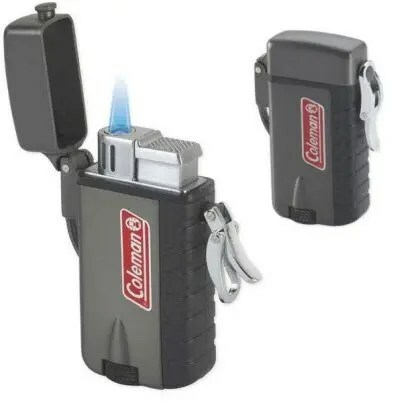 Generally “Bic” lighters are the most dependable for disposable use. You can also get waterproof and windproof lighters. If you find a nice lighter, you can get some butane refill fluid and let it last you up to five times longer than your disposable ones. 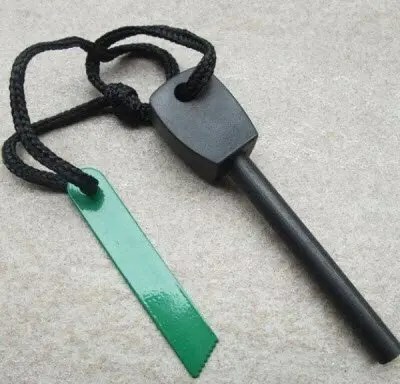 This is a classic fire-starting system. The block is magnesium and you use the striker or a knife to scrape off shavings or dust from the magnesium until you have a little pile. Then you use the striker on the bar of flint to create sparks to ignite the pile of magnesium. It takes a while to scrape the magnesium, and to master the angle/skill of getting sparks; yet this is an effective means to making fire. Once the magnesium is on fire, you add your tinder to get it going and build it from there. 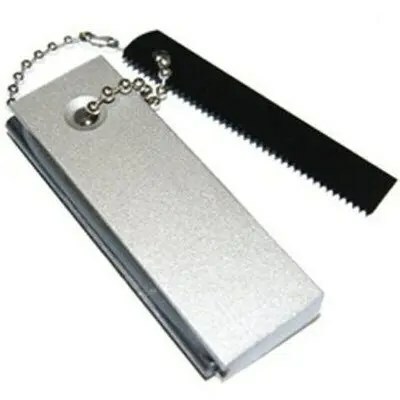 Similar to the Magnesium & Flint, a steel and striker (scraper) is a tubed piece of metal that sparks can be created from when you tap or run your striker over it. These usually still work even when they are wet, and are good to have. 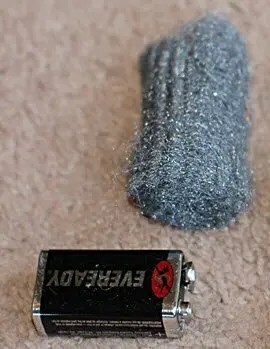 Take a 9 volt battery and basically touch both positive and negative ends to a piece of steel wool and it will start a fire. See video demonstration here. You can also take a foil gum wrapper and a AA battery and make fire. You cut the wrapper in an hourglass shape and then touch each end to the ends of the AA battery. A fire will start in the middle of the wrapper. See video demonstration here. Fuel Tablets – wrapped in plastic. My box snaps shut, but I add a rubber band for peace of mind that it won’t accidentally fall open and spill. Now get your fire-starting tools together and be prepared for when you need to make fire!